This is a summary of a session from the Money Management Institute’s Fall Solutions Conference that was held in October 2013 in New York City. Are some asset classes better suited for use in models-only programs? Asset classes that are more liquid are usually easier to trade in a model, Lasker observed. Communication is important here since some assets can become illiquid for short periods of time and the managers need to know when there are problems implementing model changes, he stated. This is a summary of a panel discussion from the MMI 2013 Spring Convention held in NYC on April 22-24. 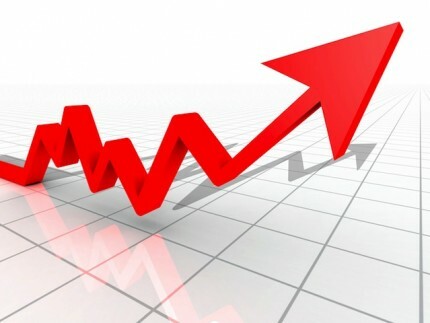 The year 2012 marked the return of the double digit gains across all the domestic and global equity benchmark indices. The gains passive indices made did not, however, translate into active management, as most active managers in all categories except large-cap growth and real estate funds underperformed their respective benchmarks in 2012. Performance lagged behind the benchmark indices for 63.25% of large-cap funds, 80.45% of mid-cap funds and 66.5% of small cap funds. 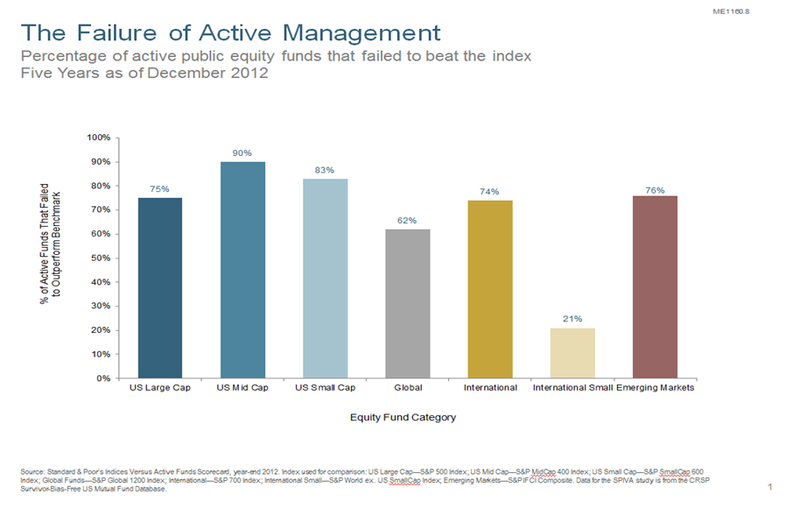 Performance returns over the past five years clearly show that active management has had a tough time, Smith opined. While many more fixed income managers beat their indices, equity managers tend to do better during rising markets. Maybe equity managers could take after fixed income and do more sector rotation, he pondered. According to Hansen, there is a lot of “closet” benchmarking going on. 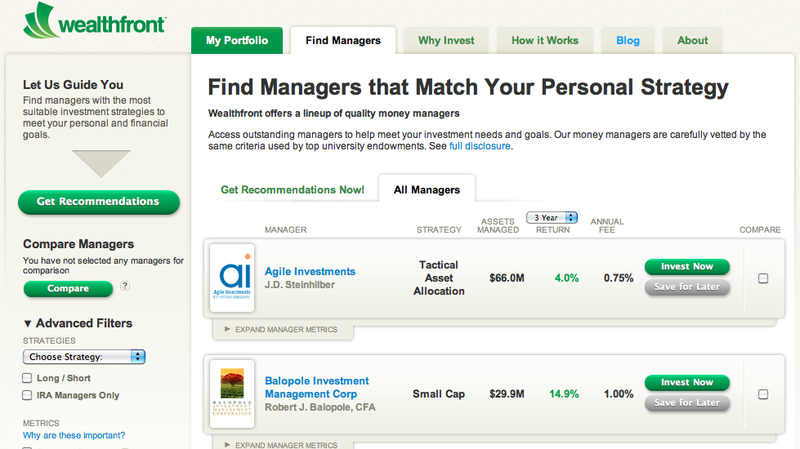 These managers are going to have a harder time trying to outperform over time. Confluence believes that it’s better to do research and locate undervalued stocks for long-term payouts than to try and mirror the index. They do have an ETF strategy group that exclusively uses passive benchmarks, he noted. DFA maintains a blend between active and passive management, Foley explained. Research shows that performance from active management is driven by a mixture of skill and luck. The question is, how do you separate the skilled managers from the ones who were just lucky? Also, can you structure portfolios around reliable premiums, he asked? What are some long-term investment aspects that your firm is focusing on? Sage offers three broad investment strategies; active fixed income, structured products, and tactical asset allocation using ETFs, Smith reported. He believes that the hot button strategies going forward will most likely be global tactical active allocation, multi-asset income, and fixed income strategies that take advantage of ETFs on an opportunistic basis. They avoid buy and hold strategies, which failed in 2008 when the financial crisis effectively changed “core plus into core minus”, he joked. This is the second part of the summary of a session from the Money Management Institute’s 2012 Fall Solution Conference. You can read part 1 here. How do fees affect your product decisions taking into consideration QE3 and a persistent low rate environment? Does paying 30-50 bps for bond allocations affect your product choices? Murray said that fees do affect their product decisions, but that they always try to identify strong managers and the fees are a tradeoff versus the additional return that they’re expected to provide. Since Russell has a manager of managers structure allows them to move between managers with different fee levels as well as incorporate other products such as ETFs and mutual funds. Fees have a higher impact when the product they’re attached to performs like Beta, Present ob served. Over the last decade, it was very difficult to extract value from equities as an asset class, while bonds appear that they will be difficult going forward. In 2008, the average target date fund was down 28%, so it didn’t matter if a manager was slightly above or slightly below that average. Relative performance in a down market is rarely appreciated by clients. You should be more aggressive with fees on beta products versus those that are designed to generate alpha, he said. This post is a summary of a panel from the MMI Tech & Ops Conference. Tom Huddleston – SVP, Natixis Asset Management. Josh Mayer – EVP, Managing Director Operations, EnvestNet. 13F/13G Reporting – under what conditions do you do the reporting versus requiring the model provider to do it? As an overlay manager, Natixis is both a model receiver and model provider, Huddleston explained. They approach the reporting requirement by asking “who’s got discretion” for trading the models. In most cases, the model receiver has discretion, so they are responsible for 13F/13G reporting. Another reason is because it would be difficult for a model provider to have insight into how the model is being applied, he said. Cruz disagreed and said that it is the model provider who has discretion. From a regulatory standpoint, it is up to the model provider to deliver the necessary information required for 13F/13G reporting. It is important for the model receiver to provide the information back to the model provider including details about how the model is being implemented, he said. manager, since both may have some trading authority, he explained. This post is a summary of a session from the FRA’s 8th Annual Managed Accounts Summit. The speaker was Chandresh Iyer, Managing Director and Head of Global Custody & Investment Services, Citigroup. Chandresh began by stating that Citigroup is looking at social networking as a means of delivering advice, since you’re more likely to do something if you see that your peers are doing it as well. A few months ago, Citi spun off a company called Bundle.com, which allows users to compare how people in various demographics are spending their money. Bundle.com is also back by Microsoft and Morningstar. Earlier reports put the investment by Microsoft and Citigroup at $5 million. Chandresh also recommended checking out a website called Wealthfront.com (formerly Kaching.com), which provides money manager screening and recommendations and facilitates direct investing by retail customers. Wealthfront provides transparency into your account(s), offers lower manager minimums, detailed manager data and drift alerts. Could Wealthfront gather enough market share to make it a serious distribution channel? Since its inception one year ago it has attracted more than $100 million to its investing platform. They have a way to go before they even register on the distribution scale, but it’s definitely something to keep your eye on. If they get traction, they could become the E*Trade of managed accounts. Providing individual investors to cut out the middleman and invest directly with the managers of their choice. I’ll be reviewing Wealthfront.com in greater depth very soon. From a product perspective, according to Chandresh, Citi is also looking beyond traditional assets to alternative investments including private equity and commodities, Chandresh explained. Citi Private Bank launched a new product platform called the Tailored Managed Investments Group within their Tailored Portfolio. “Why do people in the HNW segment choose these platforms?”, Chandresh asked. Say a $200 mm HNW client is looking for access to hedge funds. They could go directly to a hedge fund and invest, but what they don’t want to do is be the ones to have to make the withdrawal request when the markets turn against the fund. They don’t want to appear to be the bad guy. They don’t want to damage the relationship that they’ve built up with the hedge fund manager. What these platforms do is enable anonymity, he said.